petition: Say NO to 4 Countries who want to trade in elephant and Rhino parts! 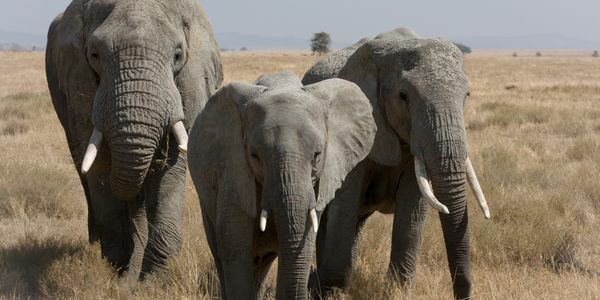 Say NO to 4 Countries who want to trade in elephant and Rhino parts! In just a few months, on May 23, 2019 there will be a meeting of CITES. This organization is global and regulates wildlife and conservation efforts. They will meet to vote on proposals from four African countries that want to remove rhinos and elephants from appendix 1 (endangered status) and place them in appendix 2 (to be conserved and regulated status). The countries requesting delisting from endangered are doing so because they want to promote hunting, trade in parts, tusks, horn, hair, hide, leather and jewelry, amonst other things. They claim it is in the name of "conservation" and tourism, despite the fact that they've admitted there is already unregulated poaching going on. Statistics already show about 96 elephants a day are illegally poached. In 2017 alone, an estimated 1,027 rhino were killed. It is CRUCIAL that we continue to protect and conserve these truly endangered species. If we don't, they could be gone for good. Please sign and share this petition! Let us all stand together to tell CITIES we do not want hunting and the trade of rhino and elephant parts from the countries of South Africa, Zimbabwe, Botswana and Namibia. Let's tell CITIES we do not need to expedite the extinction of elephants and rhinos! We are now about to hit a total of 62,200. I'd like over a million to submit to CITES. Lets keep sharing! With the debates over legalizing hunting and culling elephants in Botswana heating up to hostility and with Zimbabwe giving 35 baby elephants to China in payment of a debt, coupled with continued poaching and the heating up of whether the recent survey of dead elephants in Botswana is accurate, signatures on this petition mean more than ever!!!!!! Thank you everyone! We have officially reached 30,000 signatures today! Let's keep it up and keep sharing! 65% of signatures come from shares! I want to have 1 human signature for each animal at risk. That means a total of 370,000. ~about 20,000 southern white rhinos left in Africa (the northern white rhino has only 2 left). ~about 350,000 elephants left in 18 different African Countries combined. We need more signatures to say leave Rhino and Elephant on the endangered list! Congratulations everyone! We are officially at over 15,000 signatures now! Let’s keep it up!!! Our message to CITIES is stronger in numbers! Thank you so much!! We are now officially 5,000 people around the world and growing to send our collective message to leave the elephants and rhino on the endangered list and to NOT hunt more and sell off their parts! Thank you everyone! ❤️❤️❤️❤️ Let’s keep growing by sharing!